She regularly entertained the cream of Parisian society at her salon in the rue d’Astorg. The comtesse helped establish the art of James Whistler, and she actively promoted such artists as Auguste Rodin, Antonio de La Gandara and Gustave Moreau. She was the inspiration for the Duchess of Guermantes in Marcel Proust’s In Search of Lost Time, she regularly ordered – notably from Worth – sumptuous outfits that highlighted her splendid waist. She was a patron of Sergei Diaghilev’s Ballets russes, and launched a fashion for greyhound racing. Fascinated by science, she helped Marie Curie to finance the creation of the Institute of Radium, and Edouard Branly to pursue his researches on radiotransmission and telemechanical systems. 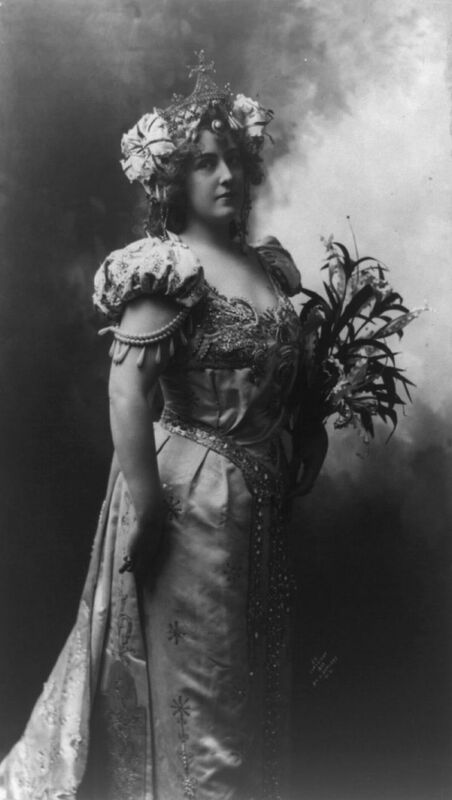 Lillian Russell (1860– 1922) became one of the most famous actresses and singers of the late 19th and early 20th centuries, known for her beauty and style, as well as for her voice and stage presence. When Alexander Graham Bell introduced long distance telephone service on May 8, 1890, Russell’s voice was the first carried over the line. Russsel had a flamboyant personal life and was married four times. 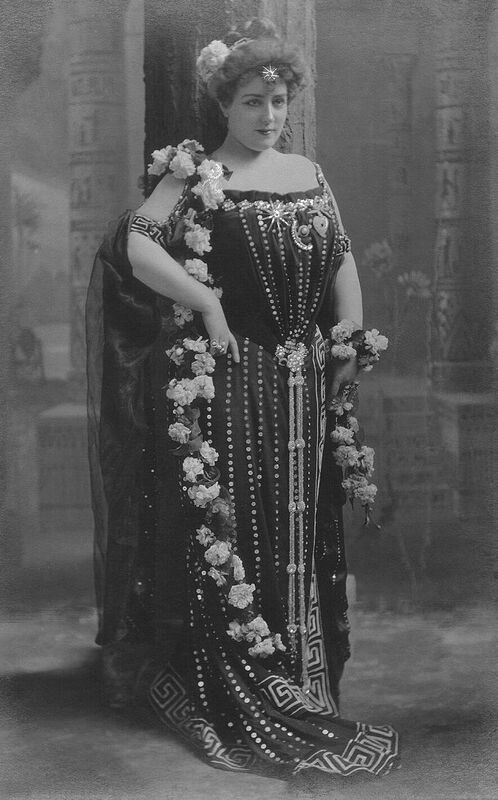 She married composer Edward Solomon in 1884 and created roles in several of his operas in London, but in 1886 he was arrested for bigamy. 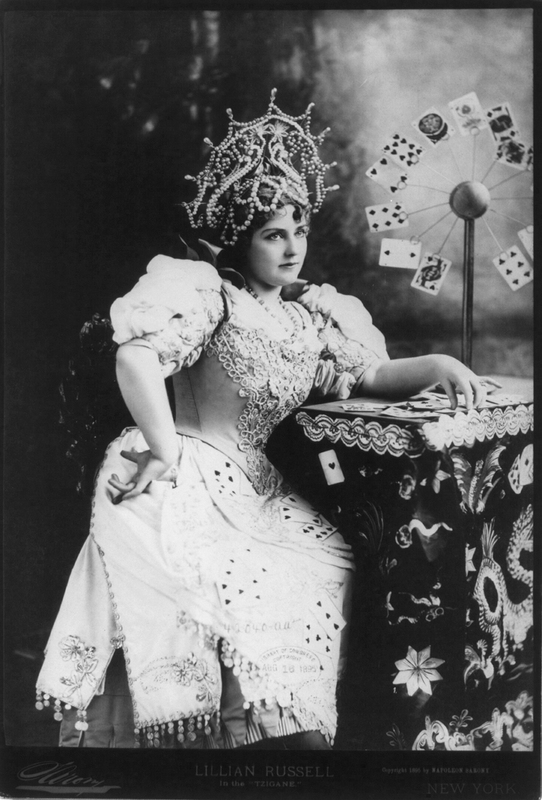 Her longest relationship was with Diamond Jim Brady, who supported her extravagant lifestyle for four decades. A 1940 film was made about Russell, although it presents a sanitized version of her life. 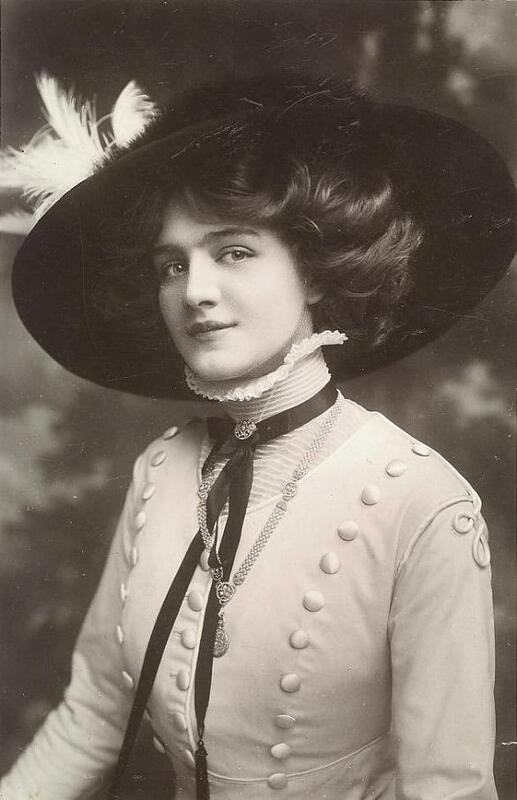 Mabel Love (1874 – 1953), was a British dancer and stage actress. Love made her stage debut at the age of twelve, at the Prince of Wales Theatre, playing The Rose, in the first stage adaptation of Lewis Carroll’s Alice in Wonderland. She was considered to be one of the great stage beauties of her age, and her career spanned the late Victorian era and Edwardian period. In March 1889, under the headline “Disappearance of a Burlesque Actress”, The Star newspaper reported that, by then 14-year old, Love had disappeared. It was later reported that she had gone to the Thames Embankment, considering suicide. This publicity served merely to increase the public’s interest in her. 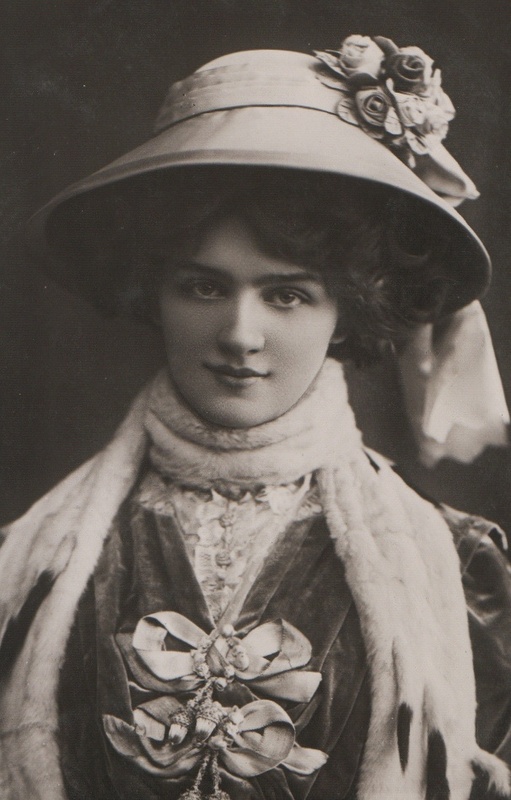 When photographer Frank Foulsham had the idea of selling the images of actresses on postcards, Love proved to be a popular subject leading one writer to christen her “the pretty girl of the postcard”. In 1894, Winston Churchill wrote to her asking for a signed photograph. Over the following 30 years, she starred in a series of burlesques, pantomimes and musical comedies. Among her successes were, as Francoise in La Cigale and as Pepita in Ivan Caryll’s Little Christopher Columbus. Later, she appeared at the Folies Bergère in Paris and in Man and Superman on Broadway. Love retired from the stage in 1918 and, in 1926, she opened a school of dancing in London. 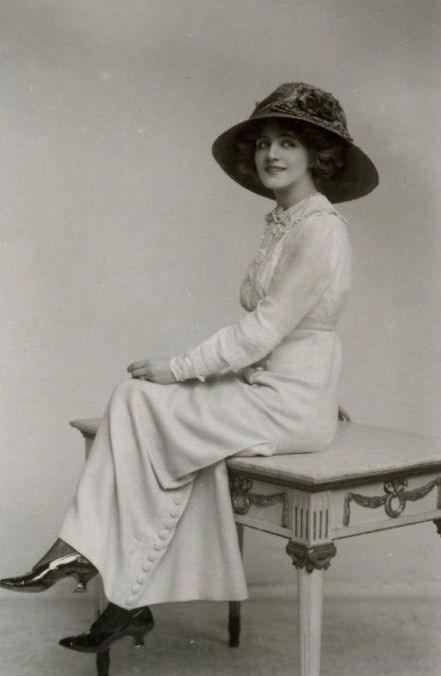 Lily Elsie (1886 – 1962) was a popular English actress and singer during the Edwardian era, when public entertainment flourished. 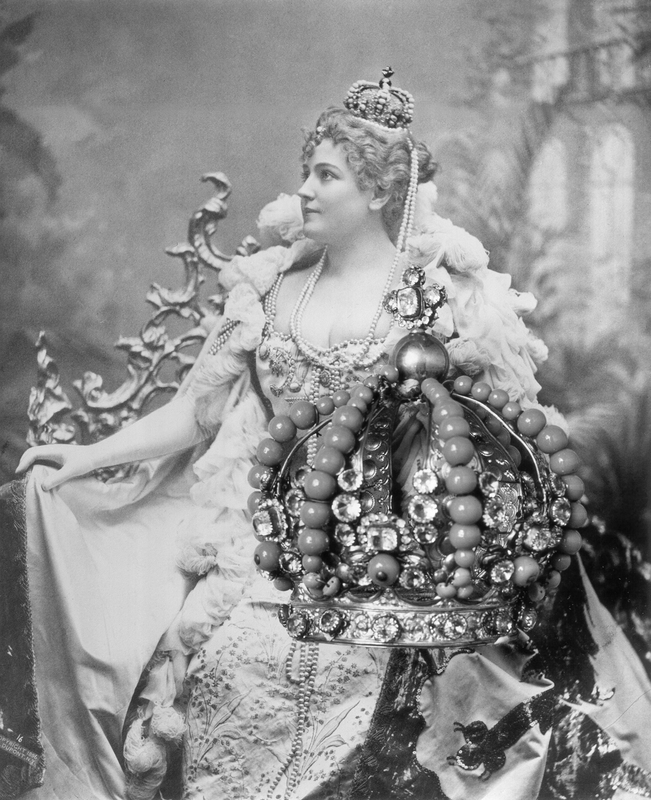 The nine years during Edward´s reign were to be the height of Lily Elsie’s success on the stage. 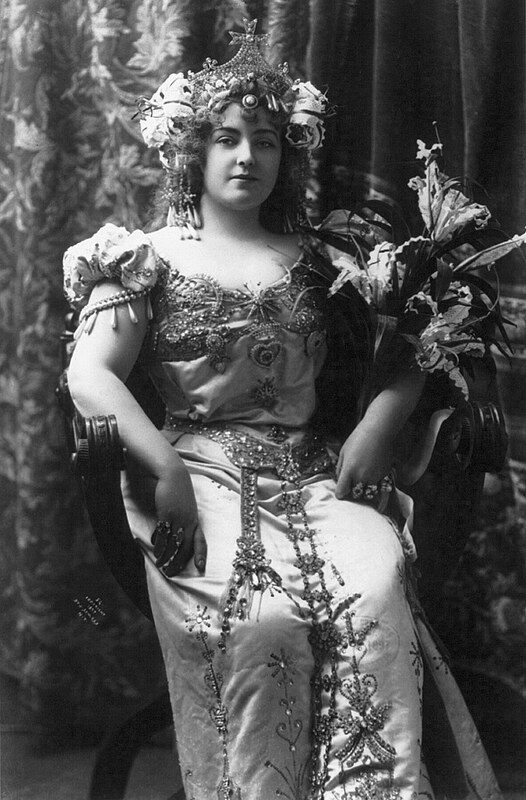 Beginning as a child star in the 1890s, Elsie built her reputation in several successful musical comedies before her great success in The Merry Widow in 1907, which the King saw four times. Afterwards, she starred in several more successful operettas and musicals. 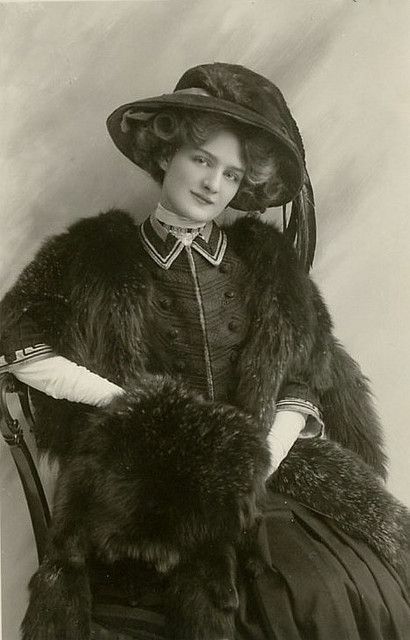 Admired for her beauty and charm on stage, Elsie became one of the most frequently photographed beauties of the Edwardian era. Charles Dana Gibson (1867 – 1944) was an American graphic artist, best known for his creation of the Gibson Girl, an iconic representation of the beautiful and independent American woman at the turn of the 20th century. The artist saw his creation as representing the composite of “thousands of American girls.”The Gibson Girl image combined elements of older American images of caucasian female beauty, such as the “fragile lady” and the “voluptuous woman”. From the “fragile lady” she took the basic slender lines, and a sense of respectability. From the “voluptuous woman” she took a large bust and hips, but was not vulgar or lewd, as previous images of women with large busts and hips had been depicted. From this combination emerged the Gibson Girl, who was tall and slender, yet with ample bosom, hips and buttocks. 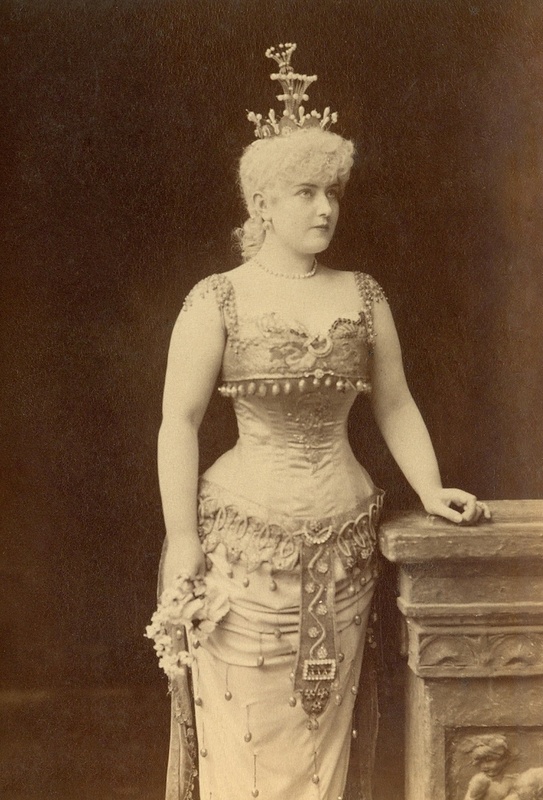 She had an exaggerated S-curve torso shape achieved by wearing a swan-bill corset. Images of her epitomized the late 19th- and early 20th-century Western preoccupation with youthful features and ephemeral beauty. Her neck was thin and her hair piled high upon her head in the contemporary bouffant, pompadour, and chignon (“waterfall of curls”) fashions. The statuesque, narrow-waisted ideal feminine figure was portrayed as being at ease and stylish.